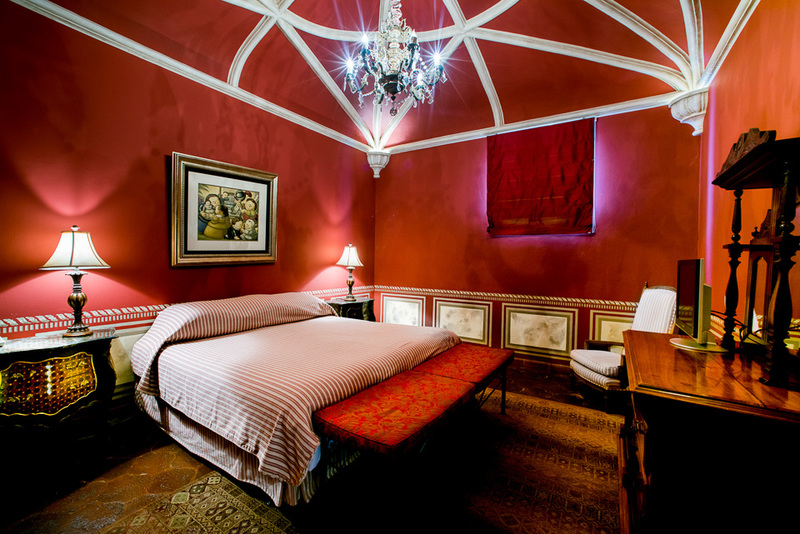 Historic 16th- and 17th-century private homes—restored and repurposed as romantic hotels—are part of the attraction of Guatemala’s former capital, Antigua. 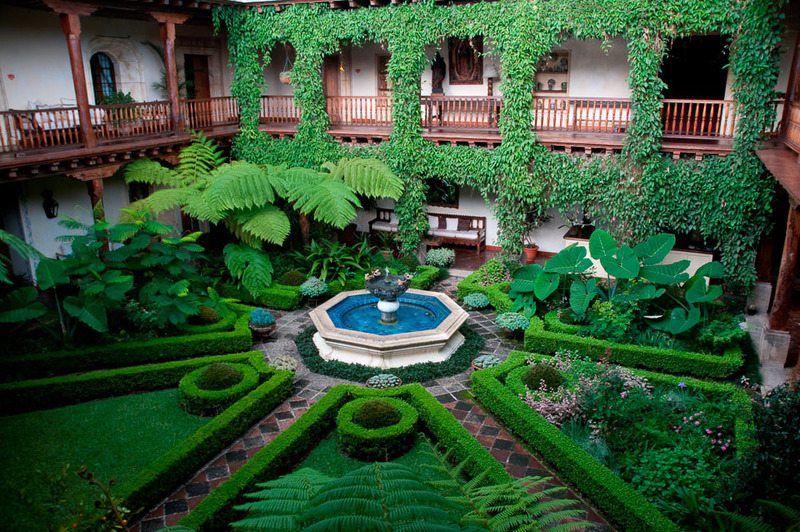 We discovered a few of these during our stay and decided that the Palacio de Doña Leonor was one of the best examples. This Spanish-style mansion, built around 1543 to serve as the residence of the daughter of a Spanish conquistador, is just steps away from Antigua’s most important historic attractions, including Central Park and the Cathedral. Meticulous attention to historic details, sumptuous décor, stone fireplaces and a beautifully cultivated central garden with fountain are just a few of the hotel’s highlights. Thirteen rooms, each fit for royalty, feature private balconies or terraces with city or garden views. 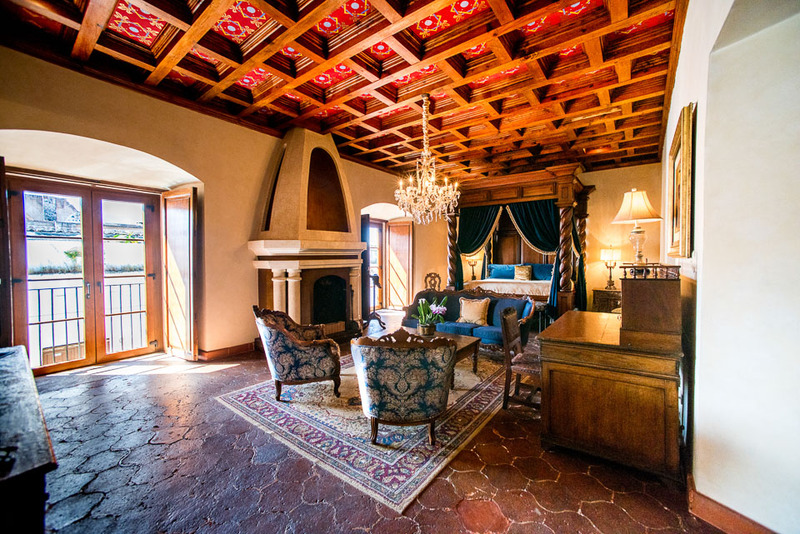 Named to honor key figures in the conquest of Guatemala, the rooms’ colonial furnishings, antique chandeliers, four-poster beds with Egyptian cotton linens and hand-painted ceilings evoke life in Antigua as it was five centuries ago. You can order fine, contemporary cuisine at the Palacio restaurant, relax with cocktails or dessert in the Tea Room or enjoy live music in the garden courtyard. Other reasons to visit Antigua include fascinating archaeological sites, an abundance of diverse restaurants, shopping for artisanal products (textiles, leather, jade jewelry and more) and excellent Spanish language schools. Antigua is also a good base from which to explore Guatemala’s other attractions, including the Mayan ruins at Tikal, market towns such as Chichicastenango and the resort getaway of Lake Atitlán.